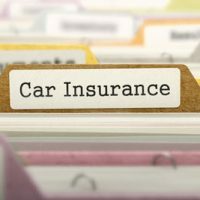 If you’ve ever bought a car from a dealership, then you were probably asked if you would like to purchase optional “guaranteed auto protection.” This is commonly called “GAP” coverage. Many people just dismiss these as sales pitches and decline to purchase GAP, but there are definitely times when it may make sense. Florida motorists who are involved in car wrecks can often be surprised when their auto insurance policy does not pay for all the damages. What Does Regular Collision Coverage Pay? When you have an accident, there are two ways you can get your car fixed or replaced. First, if someone else is at fault, their insurance company’s property damage coverage will usually pay for your repairs. Or, if the repairs would cost more than the overall value of your car, they may pay you the fair market value of your vehicle at the time of the crash. The second way is to have your own insurance company pay for the repairs or replacement. This is done through your collision coverage. This, of course, assumes you carry collision coverage on your policy. How Does the Insurance Company Pay Damages? GAP coverage is a guarantee that if you make your premium payments and something happens resulting in the vehicle being a total loss, then GAP will kick in and pay the difference so you are not left with a debt to the lienholder. GAP policies are usually reasonable and only cost a few bucks extra each month on your auto insurance. In fact, many policies will allow you to pay a lump sum for the coverage and save money. Dealerships often have huge markups for selling GAP policies when you buy. Instead, decline this and opt for adding GAP to your regular insurance policy. This will save you a lot of money, and it also allows you to avoid having to deal with multiple insurance companies after a wreck. If you’ve been seriously injured in a car accident in the Tampa/St. Pete area, you need aggressive and skilled representation to protect your rights and ensure you get fair and just compensation for your injuries. Call Roman & Roman, P.A. today to schedule a free consultation.